Blog comments, Hi readers I hope your all safe and well our blog comments 500 challenge is my way of politely asking readers to leave a comment on any recent blog articles we have published and for our core readers I ask that you go back now we have the capability and comment on past blogs. Viewer participation is key to any website hoping to rank and after spending fifty pounds on my search engine optimisation I’m hoping that will also help our little website but that’s internal and not external like blog comments or trust pilot reviews. Collectibulldogs has the ability to reply to any blog comment and then as we answer I’ll find out your website or shop ie eBay Etsy ruby lane and make your link live; we do sponsored blogs for those that want more exposure but this comment exchange means your link is permanent and will be read by our readers. With over 200 blog comments on various blogs and in different languages has been amazing and I’d like to thank the usual people that see my cries for help and rally round, I’m hoping each of the blog comments will get more people answering and leaving their responses we did try a forum but no one used it. I’m not expecting people to leave blog comments straight away and they do not have to be blog specific even a well done, or nice blog keep up the good work, those types of comments count just as much as my core readers whom leave long blog comments. 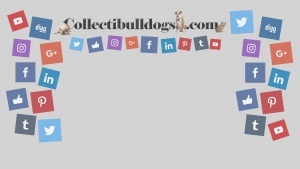 If I cannot persuade you to this request I’ll have to pay for the comments to be added and this would be a sad state of affairs as it would not only be fake comments from people that have no clue about Collectibulldogs and will only be interested in the money for the job. How do you feel about our most recent accolade WE WON FEEDSPOTS TOP 30 antiques and blogging website of 2018 the choosers had to pick from ten thousand websites and ours puts not just antiques but bulldogs in the front seat, I had no clue that one day my ramblings (lol) would be recognised. So how about a blog comment on that blog not only to get the comment but the viewer participation to that blog will show feedspot we have an active following, ill leave my pledge here there’s over 100 articles to choose from and each blog comment is permanent and will get replied too, thank you for reading my request article and I hope to be answering your blog comments real soon stay safe out there and till next time happy blog commenting (collecting).